*Children 12 years and under must be accompanied by an adult while at the Aquarium. Save time and $2 per ticket by purchasing online! The health of Puget Sound and our one world ocean is at stake, and the mission of the Seattle Aquarium has never been more important. We all have an awesome responsibility to protect and restore our marine environment—and it all starts with understanding. Help the Aquarium educate our community about the challenges facing Puget Sound. Just as people go to the doctor or dentist for regular check-ups, the animals in our care also get regular check-ups. Get the inside scoop as Senior Veterinarian Dr. Caitlin Hadfield shares details about fur seal Leu’s recent exam. 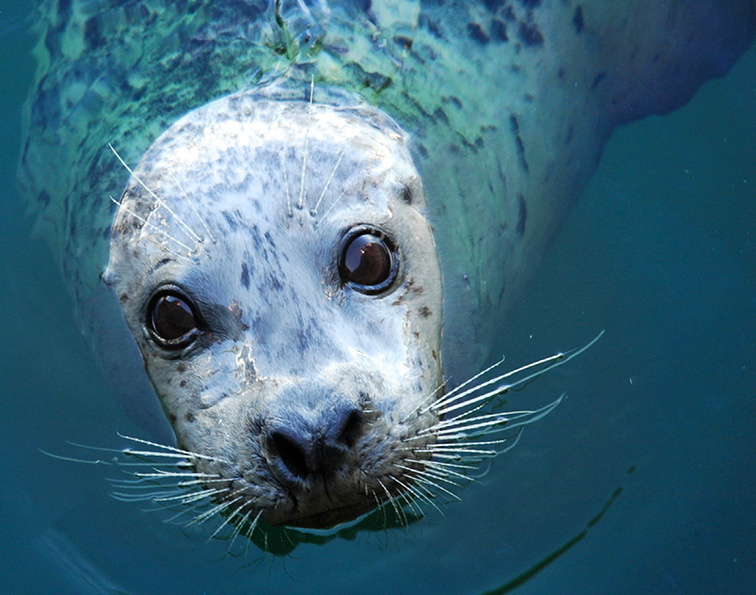 The Seattle Aquarium needs your help. We have joined in the fun and are participating in this year’s Survive the Sound competition that is being hosted by one of our conservation partners, Long Live the Kings. At the Seattle Aquarium, we believe that sustainability starts at home—meaning that it’s important for us to model the practices we promote as part of our quest to improve ocean health. Our sustainability efforts are reflected everywhere in our facility—including our café. The water in Puget Sound goes up and down. During extreme low tides in the summer, Beach Naturalists are at area beaches to share what they know about the exposed plants and animals.